Category: Books, Self Help & Personal Development Tags: personal quest, philosophical, seer, spiritual awakening, spiritual leader, spirituality. 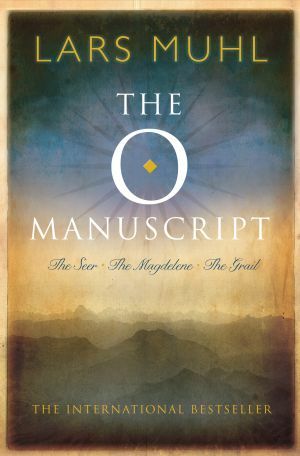 The O Manuscript is a compelling account of one man’s spiritual awakening, written with extraordinary energy, candour and humility. It is a personal and philosophical quest that challenges conventional wisdom and takes the reader on a mystical journey through ancient history and modern times. A work in three volumes, the book begins with the author at a crossroads, suffering from debilitating health, his personal and professional lives disintegrating around him. Bed-ridden for three years, Lars Muhl was put in touch with a seer who helped him, over the telephone initially, to recover his energy and brought him back to life. The Seer became his spiritual leader, teaching him the inner truths of existence. The second and third parts of the trilogy cover the Female principle, followed by that of the Bridal Chamber, a Sufi concept, in which both the Male and the Female meet to form One Unity. This trilogy is not only a spellbinding introduction to the ancient vision of cosmic interconnectedness, but also a critical evaluation of a long list of limiting New Age dogmas.